3 Bedroom Upper Floor Flat For Sale in Glasgow for Offers Over £255,000. 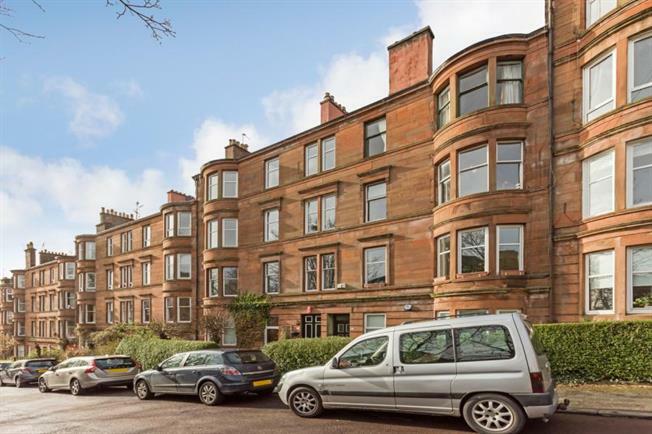 A superb traditional four apartment top floor flat within attractive red sandstone tenement building. Affording superb open outlook. This larger styled flat offers well proportioned accommodation in excellent condition, as early viewing will prove. Comprising security entry, communal entrance hall with period stair, large welcoming reception hallway with excellent storage, beautiful bay windowed period lounge, modern dining kitchen, three wonderful double sized bedrooms and modern bathroom. The home is warmed by gas central heating. Located within one of the West End's most popular areas, both Great Western Road and Byres Road are a five minute walk away offering a variety of bars, restaurants, bistros and retail options including a superb Waitrose supermarket. The City Centre is easily accessible by car or underground. The wonderful parkland and green space of the historic Botanic Gardens sits across the road on Queen Margaret Drive and the varied walking and cycling routes along the Kelvin Way are also close to hand.